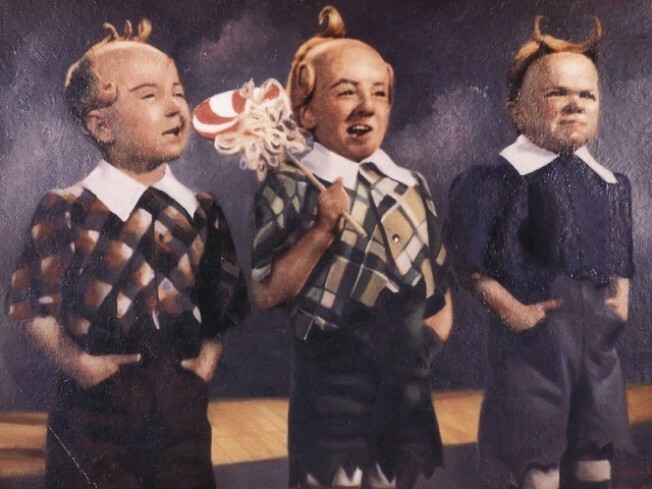 The Lollipop Guild from "The Wizard of Oz"; did these actors stay at the Culver Hotel during the filming? The hotel has a special "Oz" dinner on through the 27th. The "Wizard of Oz" Dinner: 2009 marks the cinema classic's 70th anniversary. It was famously filmed in Culver City, and there's a Culver City kitchen marking the grand occasion. How? With a click-three-times type of meal. Who's making it: The Culver Hotel, where Judy Garland and other actors stayed during the filming. What's on the menu: No lollipops. No ears of Kansas corn or poppy seed muffins (or should we say "poooooppy" seed muffins with a witchy cackle). But plenty of other goodies with thematic names are on the offer. The entree selection -- called "Follow the Yellow Brick Road" -- includes choices of salmon, short ribs, or a mushroom pasta. Desserts -- the "Over the Rainbow" course, of course -- are lemon bars, chocolate, and fruit. But are you brave enough to sip "The Tornado"? And will we be seeing flying monkeys later? We hope. Price: $19.39. 1939. You get it. We love it. For how long: Through September 27th. If you're a "Wizard of Oz" buff, a hotel aficionado, a Culver backer, or all three, we say call the landmark for reservations asap: 310-558-9400. Should you go? If you only have the noive.